Fitness is a vital part of many peoples’ lives. Finding the right machine to work out with can make a remarkable difference in the final outcome that they can achieve. The Schwinn 425 Elliptical Trainer that was released last year is a popular machine that is great for home use. It offers a lot of features that add versatility to users’ fitness needs. This elliptical made it to our top picks for the Best Elliptical Machines of the year. 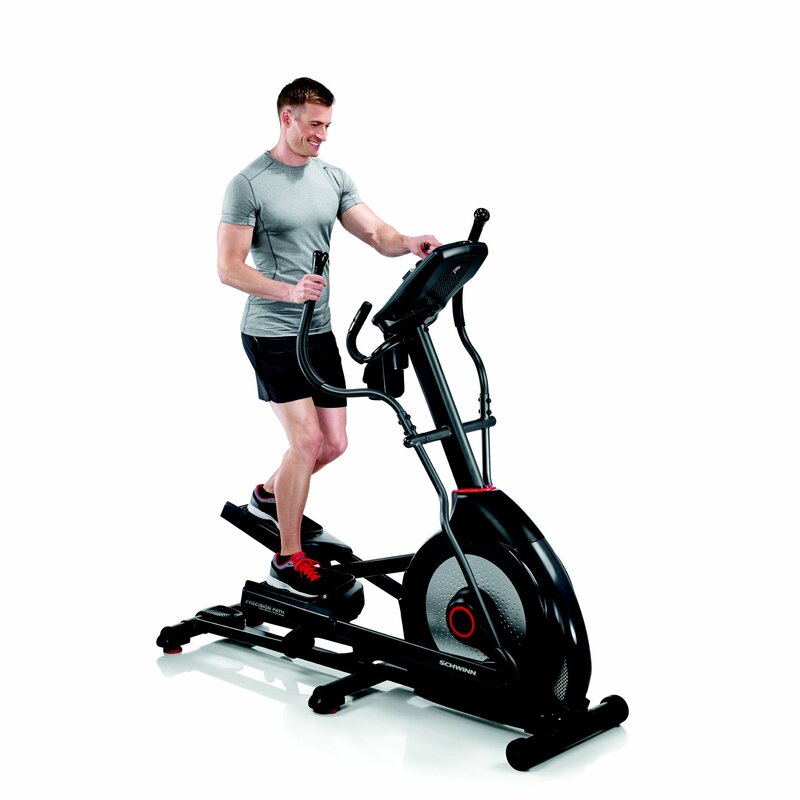 With the wide range of features, the Schwinn 425 Elliptical can be used for people of different fitness levels. Anyone can easily configure it to suit their own requirements, and it will enable them to improve their fitness significantly and grow with the machine by going through the many work out programs and resistance levels. Schwinn is famous for producing highly functional and high-quality elliptical machines that fall into the budget range due to their low price points. However, some people wonder how this Schwinn elliptical trainer stacks up to its predecessors and other budget ellipticals on the market. 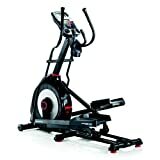 The Schwinn 425 Elliptical Trainer is considered one the best workout machines on the market today. There are a number of reasons why people say this. One of these is its exercise features and resistance levels. The Schwinn 425 runs on magnetic resistance that can be easily adjusted to match user fitness levels. Unlike other cheap elliptical machines, it has twelve different levels of magnetic difficulty. Each one is more difficult than the last giving users a great full body cardio workout that will have them losing weight in no time. In addition, a lot of users like its stride length of 18 inches that includes different leveling points throughout the stepping motion. This gives the user a fair amount of stability while working out. Aside from that, it helps push them a little bit further in their exercise. Users also like the fact that it is easy to assemble and requires little effort in the way of construction. A lot of people reported that they could assemble the machine in one and a half to two hours. This is made possible through the easy step by step instructions that the manual provides. All parts are also labeled well. Unlike other elliptical machines on the market, it is very light. Users can move it by themselves without any help. It is also not that long compared to its competitors. This allows users to fit it into a smaller room. It is incredibly robust and sturdy allowing people to feel secure and safe while using the machine at its full capacity. The joints, frames, nuts and bolts are heavy and strong. In fact, it can handle users up to 300 pounds. There are no issues with squeaking that some individuals find in other elliptical machines. The action is smooth, and the machine feels like a gym quality piece of equipment. Users also like the grip heart rate monitor that is built into the machine as it can be useful for evaluating how hard they are working. The elliptical also has wheels on the front flywheel base. This allows owners to transport their machine relatively well. One of the things that users are disappointed about with this machine is its LCD monitor. It can be a little hard to read at times. It also does not contribute anything towards the overall aesthetics of the exercise machine. What is even worse is that some users claim that the workout programs are very hard to navigate on this machine. Aside from that, the rack is not very stable and can only hold an iPad in a portrait position. Although its speakers are adequate, they are not fantastic. In fact, some users need to provide their own sound if they want to experience high-quality music with their workout. Even though its articulating footsteps are of a good size, some users feel that they would benefit from some gel cushioning. This would increase comfort during those long workout sessions. Despite the grip, some people claim it is still very hard on the bottom of their feet after they have been working out on the machine for a while. Additionally, the 3-speed fan is not adjustable, so it only really benefits people of a particular height. Even though the machine’s stride length is adequate for many users, tall people may struggle with the stride and find it a little uncomfortable and restricting. People also complain about the lack of multiple user options. They cannot enter two profiles to save their progress and stats if they are sharing this machine. Some users also wish that this machine would have Bluetooth technology incorporated into it. This could help them track their workout records or share it with their friends or personal trainer. The Schwinn 425 Elliptical trainer is a high value, low budget machine because it has everything that people need to enjoy and experience a demanding workout in the comfort of their own home. Unfortunately, for this specific Schwinn model, the user interface is not very easy to use. Aside from that, it has a non-adjustable fan and poor entertainment capabilities. However, all of these drawbacks do not affect the overall quality of the machine. At just below $600. it does not quite match up to a number of elliptical trainers that Schwinn has produced in recent years. However, the quality remains. For many, this exercise machine will be perfectly adequate.